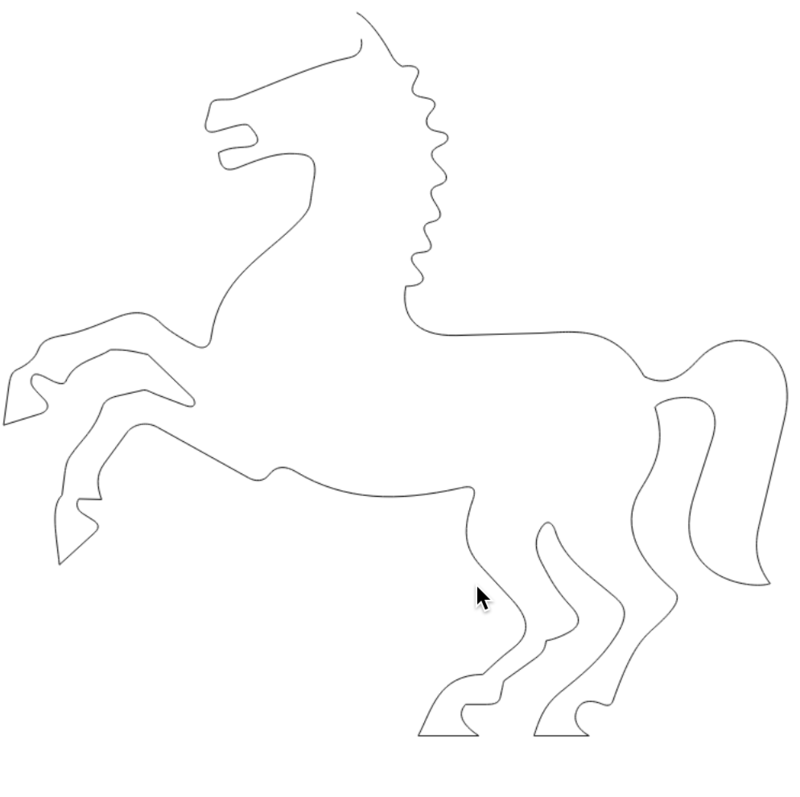 The Canvas 2D API is heavily based on the Postscript imaging model, meaning everything is rendered as filled or stroked curves, back to front. Having a good curve implementation is crucial. The one currently in PureImage works well enough, but it has a few flaws. That's what we are going to address today. Each segment of this complex curve is called a Bézier curve. By combining multiple curves together you can create any shape you want. The Bézier curve is the fundamental primitive of curved shapes. Being defined as a polynomial means we can do interesting things with it, like evaluate the equation at any point we want, then make objects move along the point. This is commonly done in 2D and 3D animation. Most graphics APIs have cubic curve support built in. 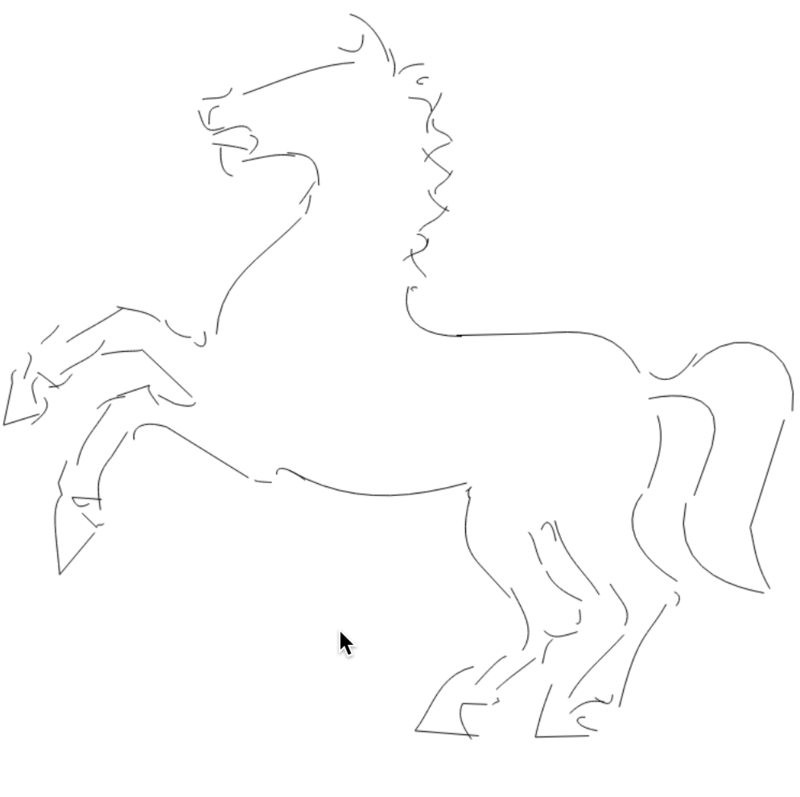 Canvas has a bezierCurveTo function which takes the end and control points as arguments. 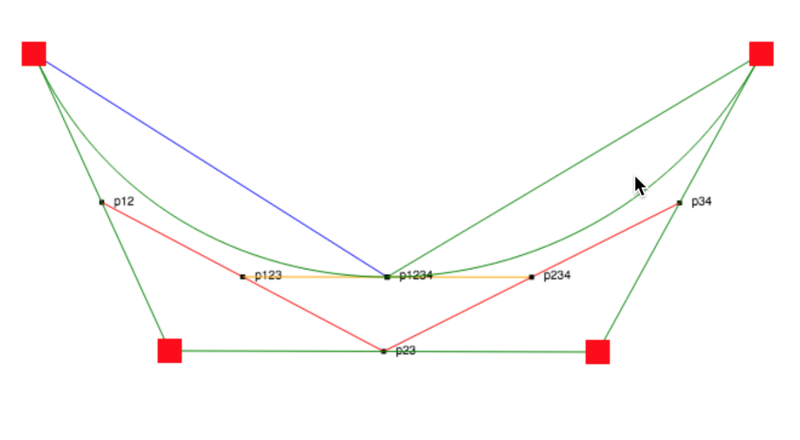 However, since we want to implement canvas ourselves (for PureImage) the question becomes: How do we draw a curve from scratch with just a pixel buffer? Let's consider the straight line. To draw a line there are existing algorithms like Bresenham's that draw a line with precise pixels. It starts at one end and steps along the line, filling in the exact pixels needed. There are similar algorithms for circles and ellipses. 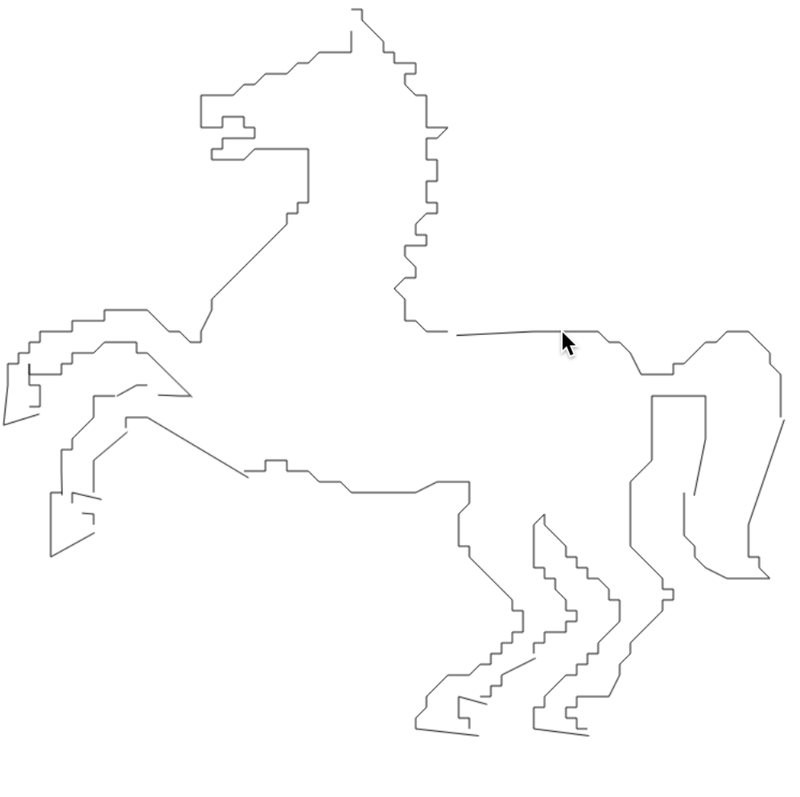 It turns out there is no exact algorithm to draw just the pixels underneath a cubic curve. However, it is quite easy to calculate the XY position of a point on the curve using a t value of the parametric equation. A parametric equation is an equation where you give it a single input value, usually called t, which then produces an XY value for a point. Again, the real definition of a parametric equation is more complicated, but this will suffice for our purposes. If we evaluate the equation with t going from 0 to 1 in small increments then we will get points for the entire curve. This is called subdivision. If we choose an increment of 0.1 then we get ten points resulting in this curve. Not bad. Let's try 100 points using 0.01. Much better. Notice how the curve looks smoother. However we still may have some flat parts in the portion of the curve with extreme angles and we have more points than needed in the flatter parts. It would be better if we had a smart way to pick the points instead of a uniform increment. Then we could have fewer points in the straight parts and more points in the curvier parts. 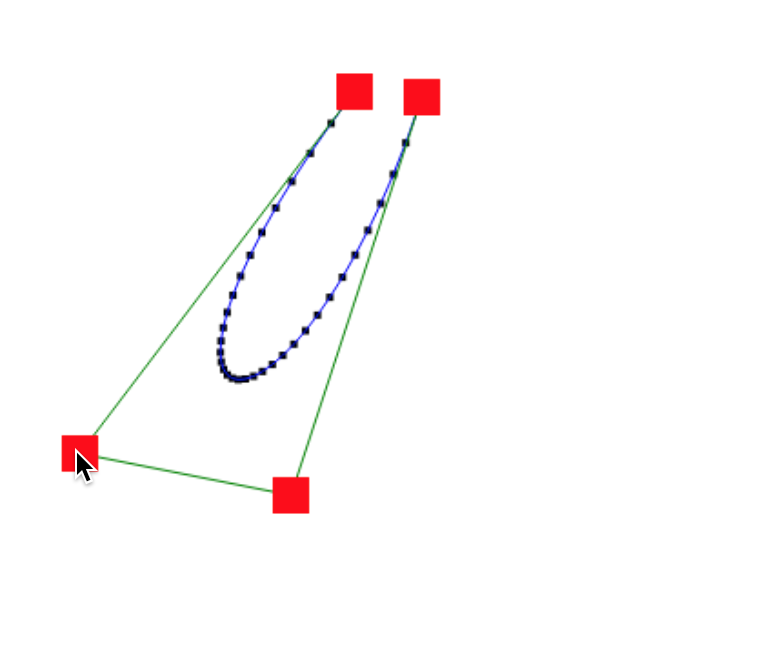 It turns out this is pretty easy to do thanks to some other interesting properties of the Bézier curve. What if we split the curve into pieces, then split those pieces into more pieces, then eventually we would reach the point where each curve segment is flat enough to be drawn with a line, right? In pseudo code it looks like something like this. Splitting a curve at a T value is pretty easy. Check out this diagram. Now we just need a definition of what is flat enough to turn a curve into a line. There are many heuristics for how flat a curve is but we don't need to reinvent the wheel here. 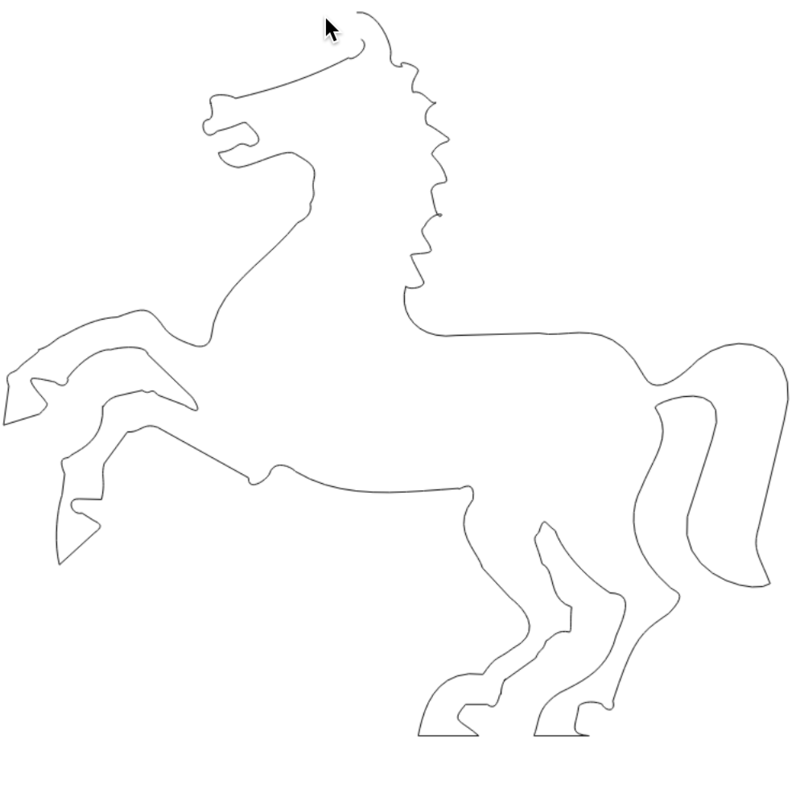 An algorithm invented by Roger Willcocks and elaborated in the paper Piecewise Linear Approximation of Bézier Curves by Kaspar Fischer gives us a simple function which takes a curve and gives us a flatness value. Then we just decide if the flatness is below a some threshold value then it's flat enough. See how there are more points in the tight cusp of the curve and less points in the flat part. That's the magic of adaptive subdivision. For this image I used a threshold of 100 so you could better see the points. In practice I use the much smaller threshold of 1, resulting in more points. The exact threshold you should use depends on what you are using this algorithm for. 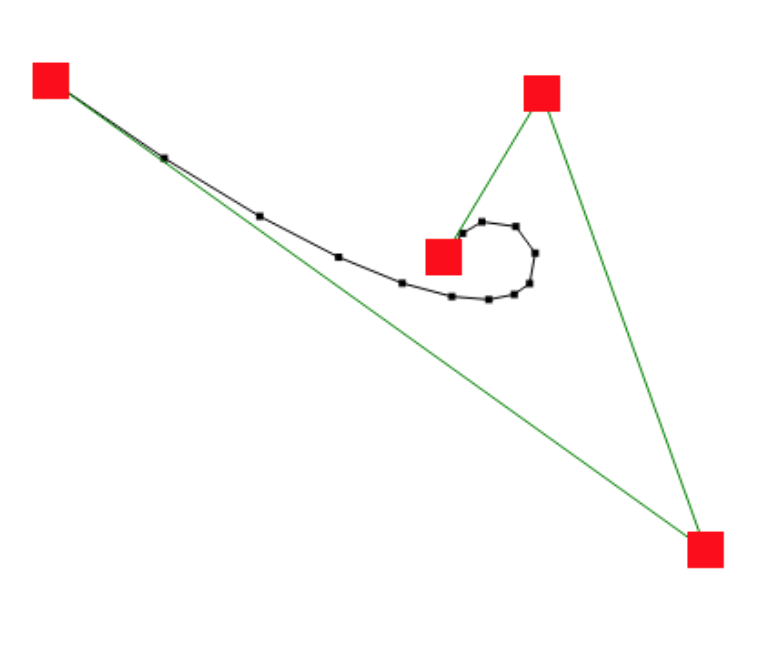 Much like how the line is a primitive that can be manipulated in procedurally generated artwork, we can also use the Bézier curve. 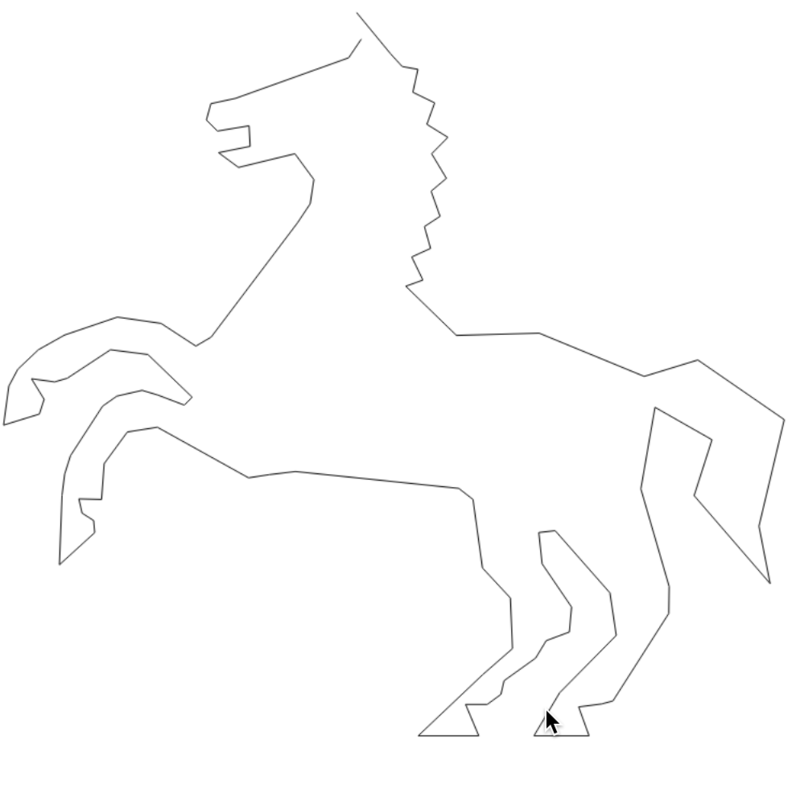 Since we can now control exactly how our curves are drawn, we can do interesting things like turn a complex curve into lines that still leave some of the angularness, or randomly perturb the control points to get crazy distorted versions of common shapes. Much as a painter needs to be familiar with how color works, generative artists should be familiar with how the different graphics primitives work. 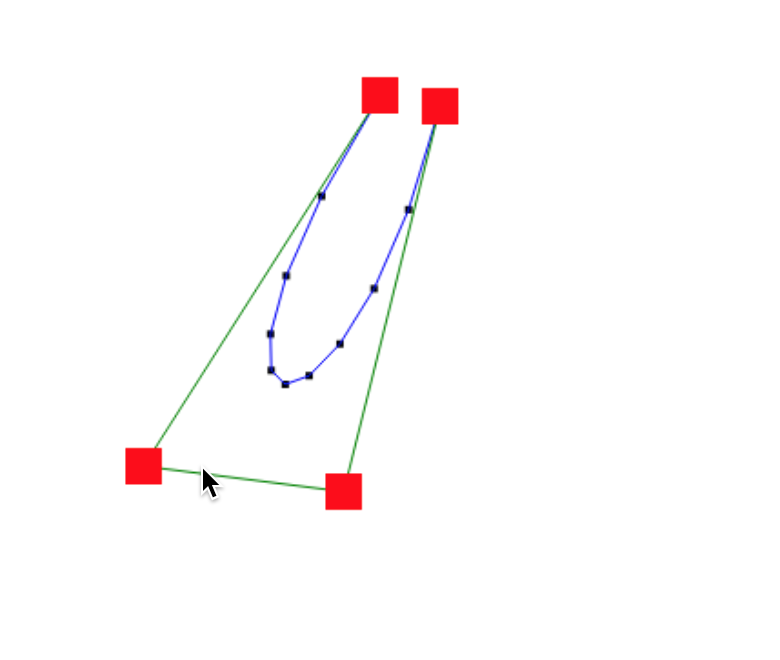 I hope this article gives you a deeper understanding of Bézier curves and how they can be rendered and manipulated. If you are interested in procedural generation, read the whole series here.